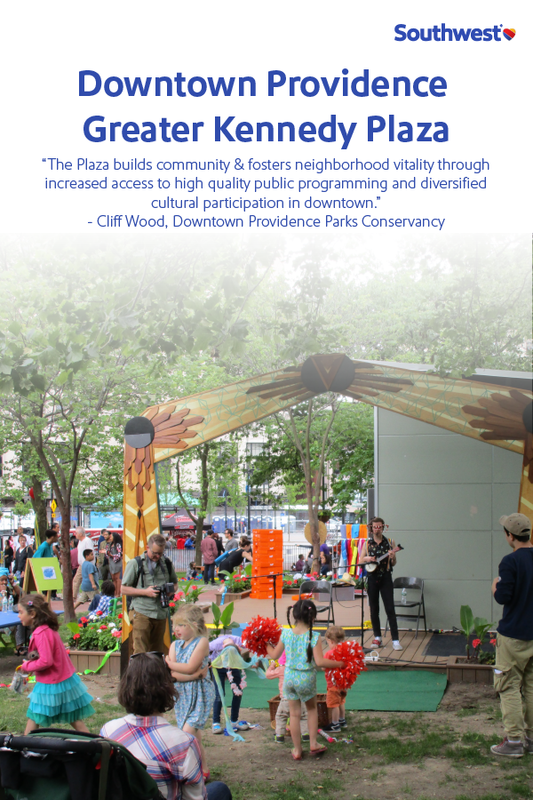 The Southwest Airlines Heart of the Community program, in partnership with Project for Public Spaces has announced its 2018 grant recipients, and the Downtown Providence Parks Conservancy is proud to be one of the five public spaces receiving $125,000 for its work revitalizing Greater Kennedy Plaza, specifically Burnside Park. The funds received through this grant will go toward the continuous expansion and development of the Imagination Center in Burnside Park. 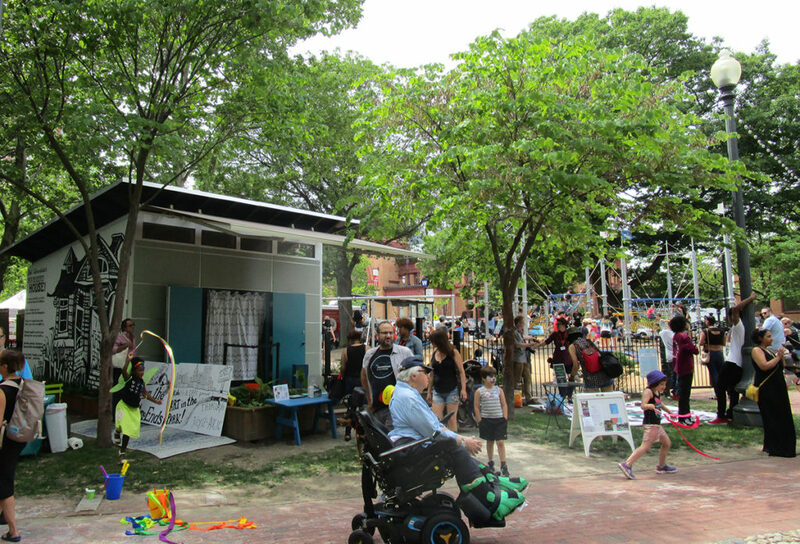 This structure, originally built in 2013 with funds from the first Heart of the Community grant the DPPC received, has become the home base for public programming in Burnside Park. With this new investment, the Imagination Center can continue to grow and be a destination that welcomes tourists and residents from other neighborhoods in Providence. This grant will also allow the DPPC to expand its programming season into the spring and fall, and even through the holiday season. The DPPC invites everyone to come down to Burnside Park and see first hand how this support from Southwest Airlines and Project for Public Spaces has helped make this park a more dynamic and inviting space for residents and visitors alike. Interested in learning more about our free public programming? Details can be found on our Facebook events page. See you in the park!